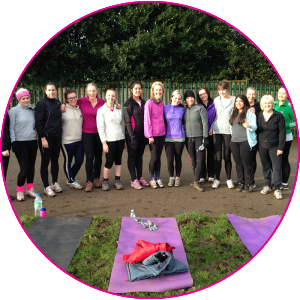 Welcome to FEMALE BOOTCAMP with leading female Personal Trainer Fleur Richardson. 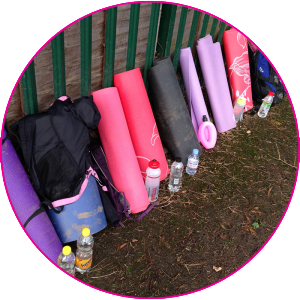 Based in Tettenhall, FEMALE BOOTCAMP covers all areas of Wolverhampton including Wightwick, Perton, Castlecroft, Finchfield, Penn and surrounding areas. 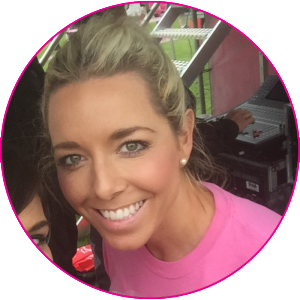 Head trainer, Fleur Richardson has dedicated the last eight years of her life to health and fitness and during this time became a qualified professional personal trainer; having achieved level 2 in Gym Instructing, level 3 in Personal Training and level 2 in Bootcamp Instruction, as well as becoming Kettlebell certified. We pride ourselves on our women only classes as we believe that this is the best way to help them get motivated in order to achieve their personal goals. Female only classes include: Bootcamp, Buggycamp (where you can bring your children along if you wish), Mini bootcamps (for small groups of friends/family/work colleagues) and Box HIIT. 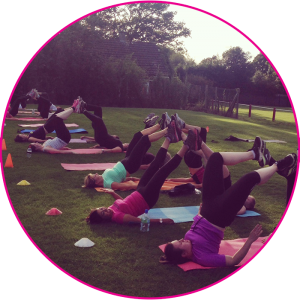 FEMALE BOOTCAMP works with clients on a one-to-one basis to achieve their personal goals including weight loss, toning, increasing cardio fitness levels, aiding pain free movement or simply maintaining a healthy lifestyle and well-being. Fleur’s wealth of knowledge and experience has grown significantly and now boasts a large network of clients, built from word of mouth alone. This is an outdoor exercise class specifically for women of all fitness levels – Beginners, Intermediate and Advanced . It aims to give you the social support and motivation you need to burn fat and sculpt your body. It includes a variation of cardio, core stability, strength, resistance and body weight exercises. Minibootcamps enable you to exercise with your friends and family. You have the opportunity to gather some of your friends, family and / or work colleagues and work out together in a session led by one of our personal trainers. Buggycamp is primarily for all the mummy’s out there! This exercise class offers you a convenient way to get back into shape after carrying around that baby bump for the last 9 months! The classes enable you to be as fit and active as possible to deal with your child’s needs, help you lose any post baby weight and can help prevent post-natal depression! Your personal trainer will carefully analyse your lifestyle as a whole, including your current levels of fitness, diet, work and social life. This information will help form a plan tailored for you. We will work with you by advising and motivating you to achieve your specific personal goals. "What I love about Bootcamp is the exciting workouts, they are not like boring gym sessions. I like making new friends, getting muddy but still looking forward to the next session. I would recommend it to everyone." "Amazing....it wasn't at all what I expected and Fleur really gave me a full workout. I've met some good friends at Buggycamp and got fit at the same time. All the girlies are working out together and it doesn't matter what your level of fitness is, you work at your own ability. It's the best thing I did during maternity leave...do it, do it, do it"
"Hi my name is Kelly, I'm 33 and have been doing Bootcamp since August. I started Bootcamp as I'd put on weight and was not doing any form of exercise. So I joined Fleur's Female Only Bootcamp. The girls were all really friendly and made me feel welcome. Each session is different and I always feel good after! I have dropped a dress size and feel more confident and my fitness level has improved." "I love the variety Bootcamp offers. I really enjoy exercising outdoors, it makes you feel alive, fresh and clears your head. The group of girls are all welcoming and fun to be around. We get to socialise and work on our fitness at the same time. Being a shift worker, I go as often as I can. Bootcamp suits all abilities and fitness levels and Fleur customises the classes to everyone's needs"